The Easter long weekend was an epic fail in terms of eating out. 4 days off and only a few meals to show for it. The reason? No hockey games to play means no eating out afterwards. Furthermore, Viv was not really in the mood for eating out since she had a lot of work to do. Arghhh.... The agony. To compound the issue, Rich Guy was unavailable to eat either. I might have to resort asking strangers to eat with me. Wait, that is normal for Mijune. She is often seen asking complete strangers if she could try their food. Alas, I am not so brazen. So when Sunday hit and we were without eats in the morning, I declared we were going out for Dim Sum. No ands, ifs or buts. However, Dim Sum on a Easter Sunday is akin to boxing day. So I had to find an obscure place to try without the crowds. Aha! 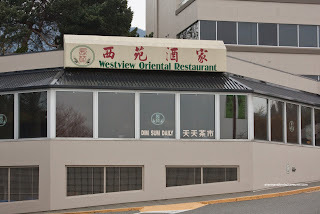 Westview Oriental! What? 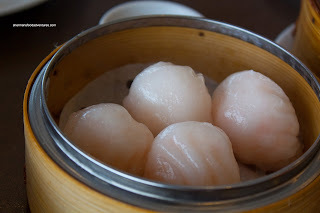 Dim Sum in North Van... Doesn't sound promising does it? Well, I've passed by this place countless of times. It's in the same plaza as where Sizzler used to be. Yes, remember that place? Just as I thought, the place was none-too-busy when we arrived at opening (11:00am). In fact, this was one of the most relaxing Dim Sum environments we've ever seen. No chatter, no mess, no lineup or some random employee yelling out stuff. So this is how they roll out here. I don't mind it at all! 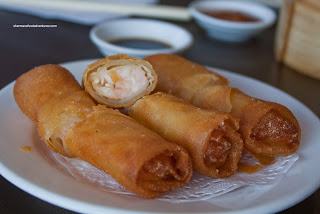 Of course, it is a moot point if the food ain't good... We started with the Soya Fried Rice Noodle Rolls (again... for the kiddies). They were quite dark, almost burnt in appearance. In actuality, it didn't taste burnt; but it was getting close. Despite the colour, it could've used a bit more flavour. 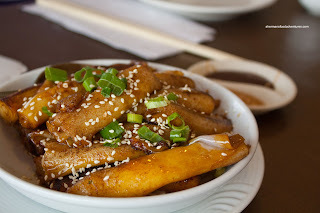 Yes, I realize there is hoisin and sesame dipping sauces; but it needed a bit more soy sauce nevertheless. 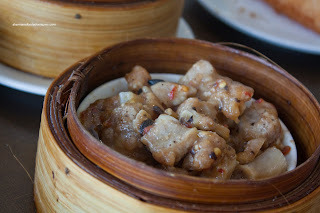 Another one of my favourite items at Dim Sum is the Black Bean Spareribs. 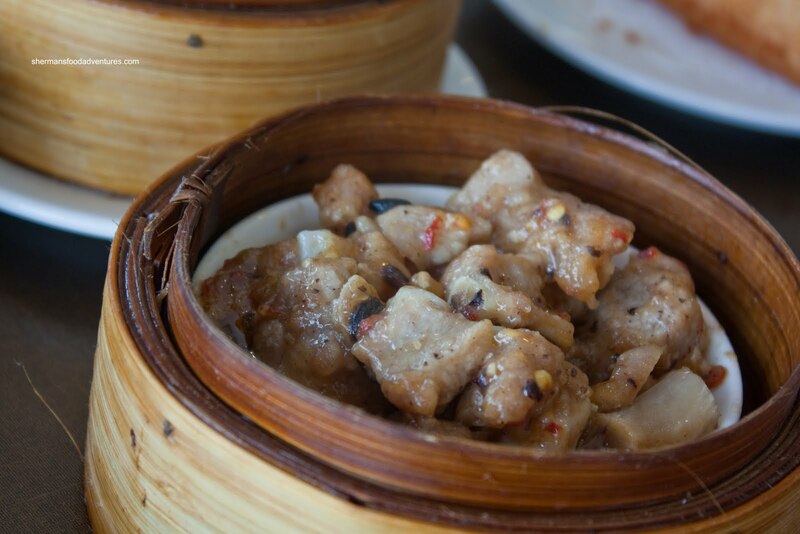 Normally, the draw of this dish is tenderized pork that is soft enough to chew while still maintaining some bite. Sadly, this one was over-tenderized. Therefore, it was too easy to chew. At least the seasoning was good, a nice combination of salty black beans, garlic and some chili flakes. Arriving next was the Haw Gow (Shrimp Dumplings) or AKA "the standard". 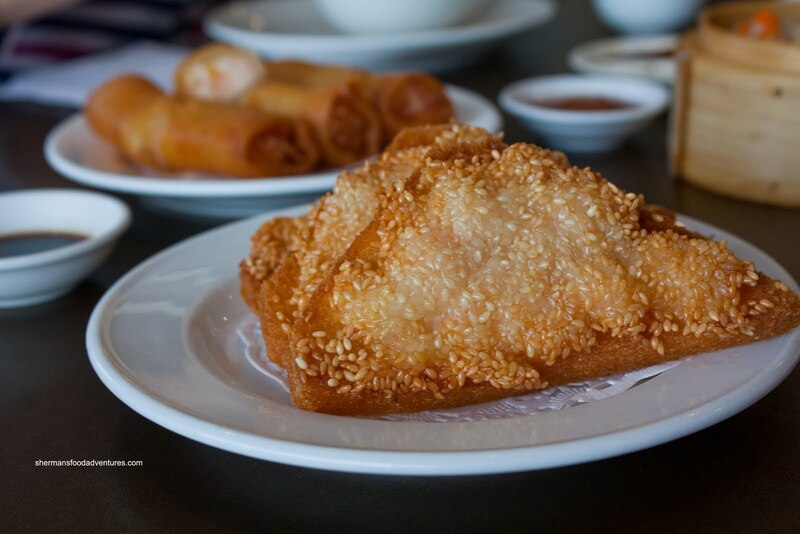 If a Dim Sum joint gets anything right, it has to be this. I would give this attempt a passing grade since the shrimp was perfectly textured being crunchy and just cooked. However, it was severely under-seasoned. It needed everything including salt, sugar, white pepper and sesame oil. I resorted to using hot sauce to eat this since there was so little flavour. 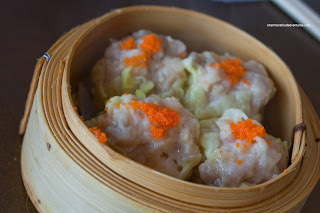 As for the dumpling skin, it was a little on the thicker side; yet not overly so. Strangely, the Crab, Shrimp and Corn Dumplings fared much better in the flavour department. 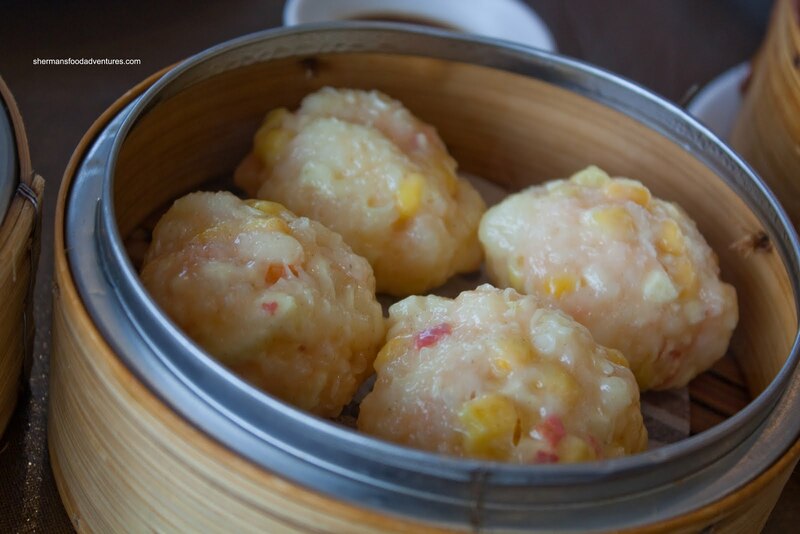 With essentially the same shrimp filling, the addition of imitation crab meat and sweet corn provided the necessary enhancements. As such, the dumpling was savoury and sweet with a nice pop provided by the corn niblets. We got an order of the Beef Meatballs in hopes the kiddies would have some. Silly me, what was I thinking? The meatballs have green things in them, the kids refused to touch them. Fine, it was up to me to touch the balls... Ahem... Well, these were some fine balls. Mixed with just the right amount of green onion and water chestnuts, the meat was texturally bang-on. Not too chewy, not too soft, these were some bouncy balls! After this, we were essentially done; however, there was a roaming platter of freshly-baked Egg Tarts. We didn't need any convincing. We got an order despite being full. As with anything hot out-of-the-oven, these were probably good on that fact only. However, they were indeed very good. The tart shell was flaky and a tad oily (hope that was vegetable shortening... I hope...). 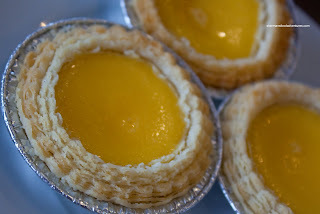 As for the egg custard filling, it was quite sweet. It had a nice silky texture though. Initially, I gotta admit that Westview Oriental was not what I thought it would be. 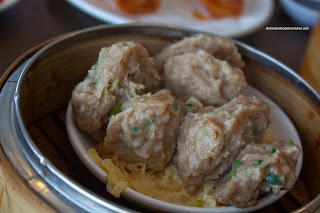 The Dim Sum experience was a lot better than I expected. First of all, the place is actually appointed with nice furnishings and decor. It was almost soothing to dine here. Plenty of space. No yelling or overly loud discussions from the neighbouring tables. Even the washrooms were acceptable. In general, the service was quite good bordering on friendly. Is this really a Chinese restaurant??? Apparently so. And to boot, the Dim Sum was more than acceptable as well. Sure, I've had better; but considering the location, it's certainly an option for the locals.